I’ve only discovered spiritual memoirs in the past few years and it was a revelation to me when I did. Somehow, I hadn’t realized this genre existed. Not only do I find these books meaningful for my own spiritual life, but discovering these books was like discovering my tribe. For the first time I found people who were writing the kinds of things I was writing – people who were working out their faith through their stories – and this inspired me to pursue writing more wholeheartedly. If you aren’t familiar with the spiritual memoir genre, it is characterized by non-fiction stories and vignettes like a regular memoir, but these focus on some aspect of the author’s spiritual life or journey. Some are conversion stories, some are about struggling with doubt, going through dark periods, or cultivating particular spiritual disciplines. Spiritual memoir is a genre that some people love and others hate. My husband, for example, is not a huge fan of the genre (which is a pity for me since that’s what I write). He says he doesn’t want to read about the spiritual struggles of someone who is just like him. He would prefer to read something inspirational from someone he looks up to or to read something that is teaching him facts or sharing information, not just sharing reflections on personal experiences. Today I want to share my favorite spiritual memoirs. Opinions on books are always subjective, but this genre is particularly subjective because the subject matter is so personalized. I might read a spiritual memoir that is really well-written and has some great insights, but that doesn’t resonate with me as deeply simply because the author’s background isn’t all that similar to mine. My favorite spiritual memoirs are those that I see myself in. The ones that I connect with and that also challenge me. These are the books that have stayed with me – the ones that make me believe my story matters. You can find a list of Kindle books that are on sale now at the bottom of this post. When We Were On Fire: A Memoir of Consuming Faith, Tangled Love, and Starting Over by Addie Zierman. This book is one of the biggest reasons that I am still writing this blog. I stumbled on Addie’s blog just after her book launched and this launched me into a whole world of authors and bloggers who I connected with on a deep level. Addie’s story of growing up at the height of evangelical youth culture – when Christianity was all about being “on fire” and faith ran on an emotional high- was so eerily similar to my own that I sometimes questioned whether I was reading my own diary. She writes candidly about what happens when a faith that was measured by emotional fervor seems to burn out and how faith can mature into something real and meaningful, even when we are no longer “on fire.” It was this book that made me believe I had a story worth telling. Addie is also one of the most gifted non-fiction writers I’ve ever read. Her prose is beautiful and precise. She is a role model of mine both as a writer and as a person. 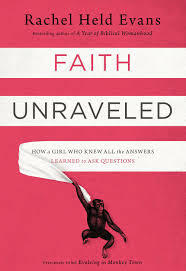 Faith Unraveled: How a Girl Who Knew All the Answers Learned to Ask Questions by Rachel Held Evans. This book was right up there with When We Were on Fire in terms of how closely it paralleled my own life experiences. Evans’ story about coming from a fundamentalist evangelical “it’s us against the world” background and learning to be ok asking questions, even if you don’t find answers right away resonated deeply with me. I love that she actually articulates some of the really hard questions of life and faith in this book and doesn’t try to smooth them over with Bible verses or trite Christian phrases. My biggest takeaway was something Evans said at the very end of the book – that there is a difference between questioning God and questioning what you believe about God. I’ve read Evans’ blog off and on and sometimes find her tone to be aggressive or abrasive there – I suppose she is more confrontational and perhaps a bit more liberal than I am – but I have loved all of her books and look forward to reading her newest one, Searching for Sunday, when it’s released later this month. 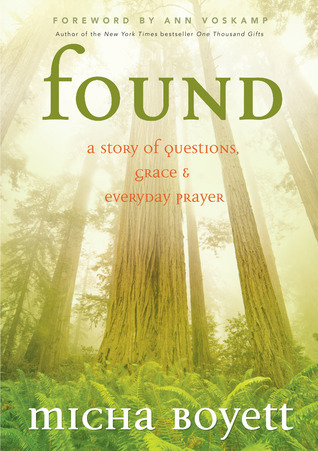 Found: A Story of Questions, Grace, and Everyday Prayer by Micha Boyett (still on sale for Kindle $3.03). This book is so beautiful. Boyett is a poet and it shows through in her beautiful prose. This is a story for tired Christians who need to experience God in the ordinariness of life. After the birth of her son, Boyett finds that she has lost prayer, something that was always a staple in her life before, and she sets out to rediscover it. What she discovers is that sometimes prayer doesn’t look the way we expect it to. This book particularly resonated with me as a fellow evangelical who grew up and feeling burdened by the need to pray more, read more, do more. This book will probably be especially meaningful for those who feel they’ve lost themselves in parenthood, but even as someone who is not a mother I could relate so well. 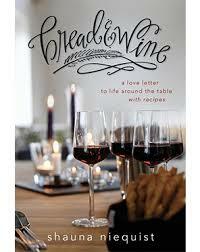 Bread and Wine: A Love Letter to Life Around the Table by Shauna Niequist. It was hard for me to know whether this book counted as a spiritual memoir, though I’m not exactly sure what other genre it would fit into. This book is about food and hospitality and about the table as a place for building community. As someone who genuinely loves food, it was moving to me to read these stories of good food and shared meals being a way to honor God for the gifts of the earth and to love the people who share our lives. While Niequiest’s other books Cold Tangerines and Bittersweet fit more cleanly into the category of “spiritual memoir” this book about food and hospitality is my favorite. It is a feast in every sense of the word. 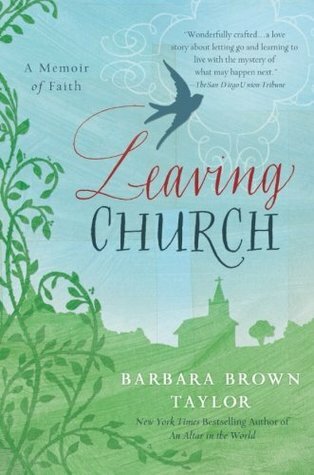 Leaving Church: A Memoir of Faith by Barbara Brown Taylor. I had been looking forward to this book for a long time and I was not disappointed. Taylor’s story of her call to the Episcopalian priesthood and later her decision to leave the priesthood and become a professor was full of beautiful thoughts about how the world and the church need not be enemies – separate entities that are necessarily opposed to one another. She writes beautifully about the ways she encountered God and grace outside of the church as well as inside it. Among many great quotes, here was one I particularly enjoyed since it describes my current faith journey so well, “I wanted to recover the kind of faith that has nothing to do with being sure what I believe and everything to do with trusting God to catch me though I am not sure of anything.” I am currently reading the book she wrote after this, An Altar in the World, and am very moved by it. I have a few honorable mentions in this genre – books that I thought were quite good and well-written but that didn’t make my top favorites list because they didn’t resonate as closely with my own experience. They might, however, resonate with yours and you should check them out. Girl at the End of the World: My Escape from Fundamentalism in Search of Faith with a Future by Elizabeth Esther. Esther grew up in a legitimate Fundamentalist cult. This book was heartbreaking and hopeful and impossible to put down. Girl Meets God by Lauren F. Winner. The story of Winner’s conversion from Orthodox Judaism to Christianity. I wrote more about this here. Shauna Niequist’s two other books which I mentioned above, Cold Tangerines and Bittersweet. Blue Like Jazz by Donald Miller. A classic. I think this was my first foray into the world of spiritual memoirs. *As of April 3rd. I use the US Amazon site. Prices may vary on other sites. Cress, Marissa Meyer ($2.99). The Lunar Chronicles, book 3. This is part of the same series as Cinder, mentioned below. Is Everyone Hanging Out Without Me? (And Other Concerns), Mindy Kaling ($4.99). I thought this book was hilarious. Then again, Mindy Kaling is like my spirit animal. But still. Loved it. Love her. Cinder, Marissa Meyer ($2.99). This is a YA book, the first book of the Lunar Chronicles. It is a futuristic sort-of Cinderella story, except Cinderella is a cyborg and there’s a planet-wide pandemic. Just reading the synopsis, this is not the sort of book I would naturally gravitate toward, but it came highly recommended and I was impressed. It’s clever and imaginative and I couldn’t put it down. Happier at Home: Kiss More, Jump More, Abandon Self-Control, and My Other Experiments in Every Day Life, Gretchen Rubin ($1.99). I just purchased this one myself. This is by the author of The Happiness Project. The Bible Tells Me So; Why Defending Scripture Has Made Us Unable to Read It, Peter Enns ($1.99). Again, just purchased this on good recommendations. I’m really curious about this one. Station Eleven, Emily St. John Mandel ($5.99). Price has gone up a bit, but still a pretty good deal. Get it, get it, get it!!!!!! Read my review here. A Prayer for Owen Meany, John Irving ($3.36) A classic. Many people list this in their all-time favorites. Wild by Cheryl Strayed ($4.40) You can read my review here. Mistborn– The Final Empire, Brandon Sanderson ($4.99) This is the first book in Sanderson’s Mistborn fantasy trilogy. Just finished this. It’s great. I wrote about it here. Thank you for this post! I agree completely, and find great value and spiritual growth witnessing the journeys of other “ordinary” people like me. Thank you for the book recommendations! Thanks, Brooke! I’m really glad you enjoyed this. Hope you get to read some of these! Lit and My Bright Abyss are must-reads!!! Lit has a spiritual side to it, but its also a memoir of addiction and escaping addiction. Incredible story, and also incredible craft. Karr is a brilliant writer. My Bright Abyss doesn’t ready exactly like a memoir, but it is so rich. It took me a while to finish. It’s not a page-turning story, but more like musings on life and God with small stories tucked in here and there . . . one to digest but so beautiful. Two recs: Jesus Girls and Jesus, My Father, the CIA, and me. Oh, and anything Anne Lamott of course. This makes me really excited to get back to somewhere with a library! 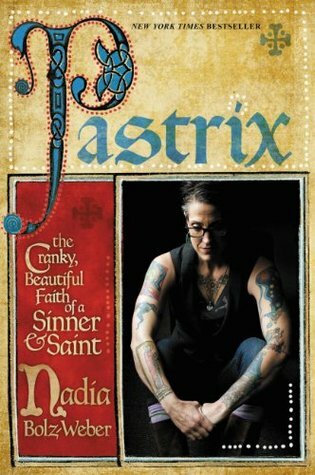 Pastrix is amazing. It played a pretty large role in me ending up in a little ELCA church. And I love how she fell in love with liturgy, too. I personally love Dating Jesus: A Story of Fundamentalism, Feminism, And the American Girl. I related so well with it. The author is pretty snarky though, so it’s not for everyone.